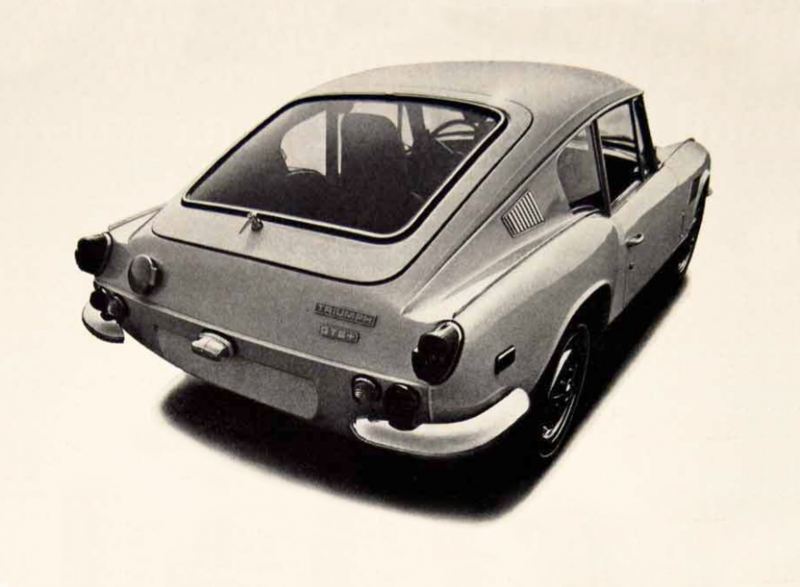 The rear window of the 1969 Triumph GT6+ was heated electronically. Big news then. A heating grid, fused on the inner surface, freed the glass of fog, ice and snow. All with a flip of a switch. Naturally, it was not as important as the new wishbone rear suspension, or that all four wheels had independent suspension. You also got comfort with increased headroom, contour seats with integral head restraints and the new flow-through ventilation and heating system with face and floor-directed vents. It even had a self-sealing magnetic gas cap along with the mag-style wheel covers and white wall tires. All standard. It had a six cylinder high torque engine with a four speed manual, all-synchomesh gearbox, disc brakes up front and rack-and-pinion steering. Published on October 19, 2013 6:49 pm. 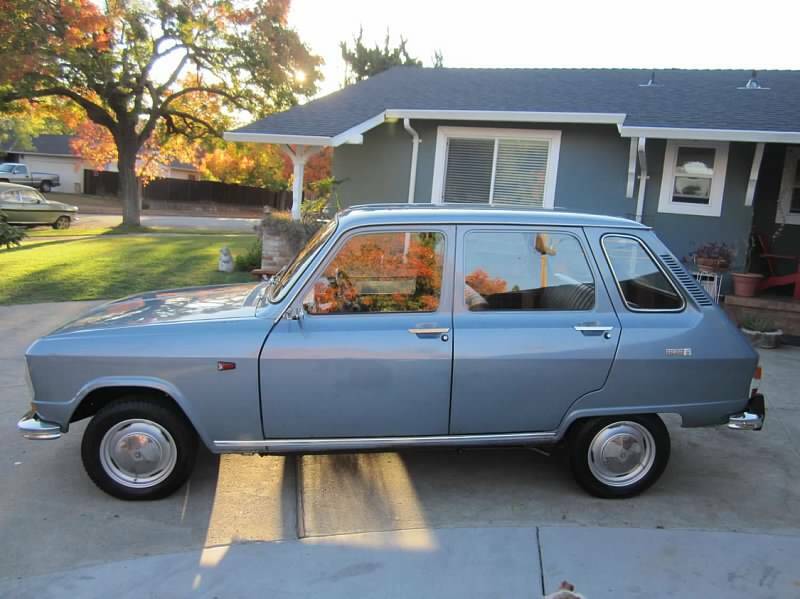 The Renault 6 was launched at the 1968 Paris Motor Show and this 1969 Renault 6 (with an 850cc engine and a 4-speed transmission) is surely a rarity, especially in this condition and in the USA. It is currently available on eBay, and there are many more images to look at in this Shutterfly album. 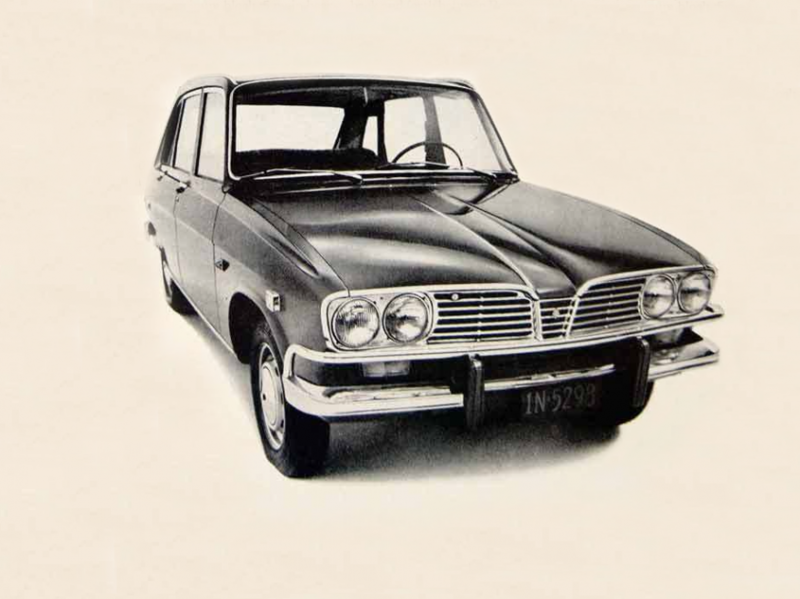 Production and sales in France and most of Europe ended in 1980 with no direct successor, but in Spain and Argentina the car was still produced and sold until 1986. Published on December 28, 2012 10:31 am. 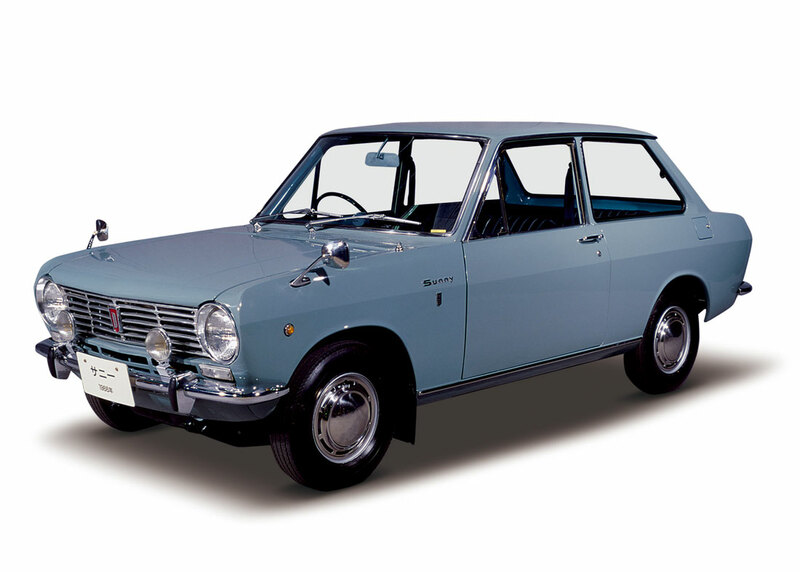 1966 Datsun Sunny 1000 Deluxe B10. Published on August 16, 2012 11:56 am. 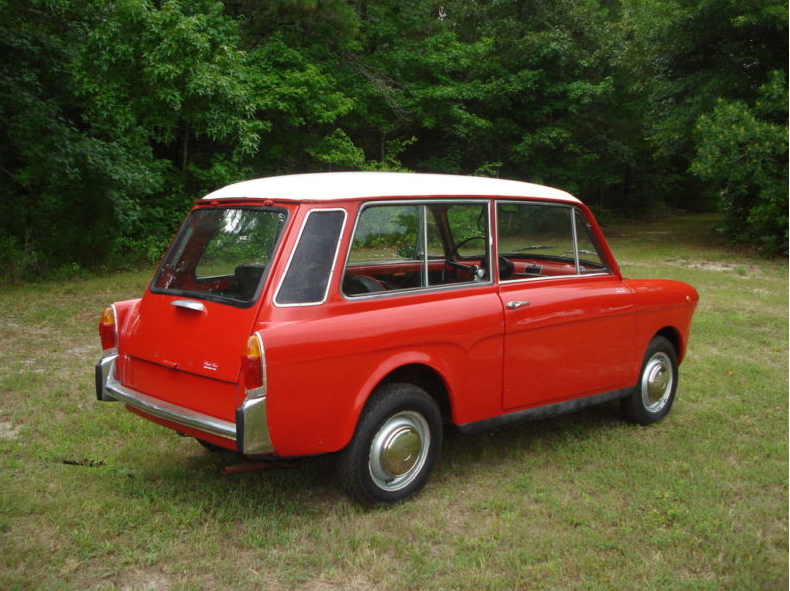 The 1968 Autobianchi was technically called a wagon, but it is quite small, certainly by today’s standards. It really is just a three door hatchback. Published on August 2, 2011 10:01 pm. 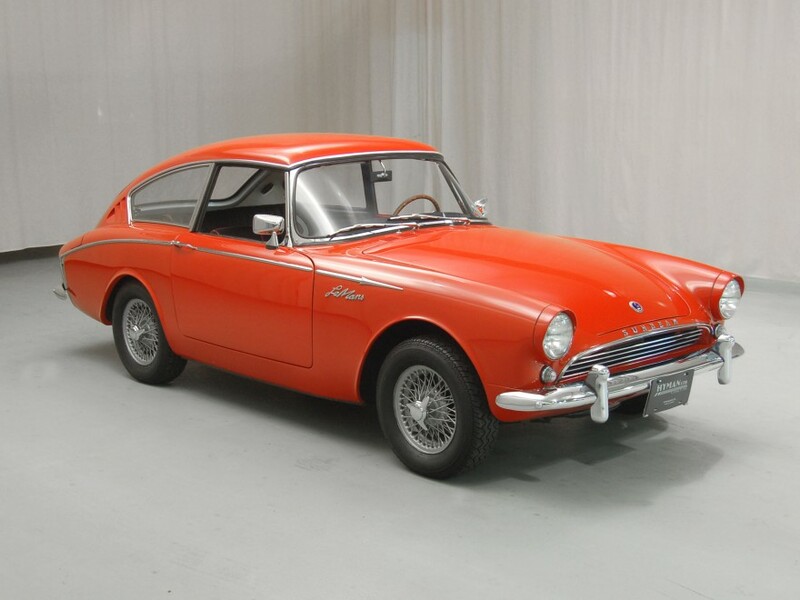 Not real sure why they called the 1962 Sunbeam Alpine Harrington LeMans Coupe a coupe, but it looks like a hatchback to me. Less than 250 were built (most for the US) and one of them is available for sale at Hyman. 1962 Sunbeam Alpine Harrington LeMans coupe emblem. Published on June 9, 2011 10:41 pm. The 1969 Reliant Scimitar GT/E could reach 120 mph with its 3 liter engine with seating for four and their luggage. This rare hatch came from Tamworth, Stsfforshire. Published on May 7, 2011 9:46 pm.